Remember that unboxing of the filofax organizer I did here? Well, I can say that it's been going well with my current setup, in which I love and keep fairly simple. 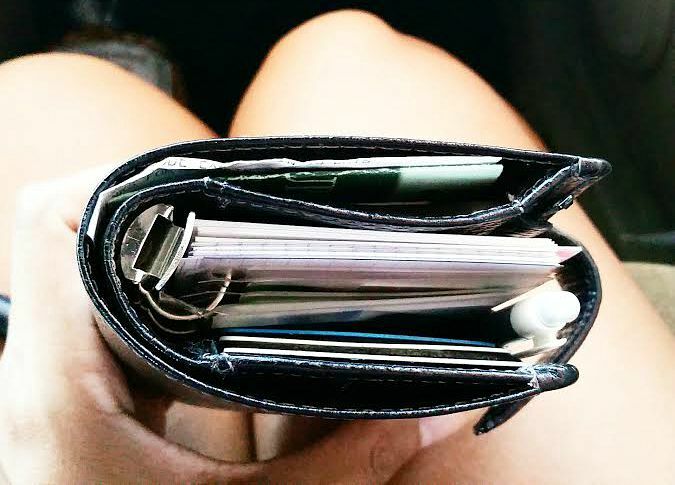 It holds all the important things any wallet would: driver's license, credit and store cards, some receipts, and of course, a few good lists here and there. Out of all the previous wallets I have owned, this has to be the smallest. Don't let the size fool you, though. 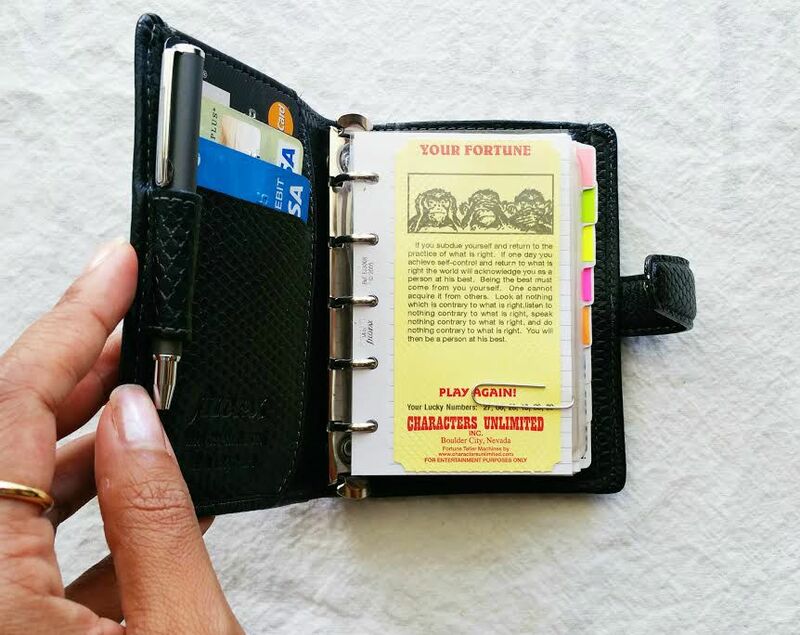 The size of this organizer is perfect and so compact that it makes it convenient to carry around in any situation. Hi Michelle... I found your site/blog via iHanna and when I saw the title of your site "Seaweed kisses" I thought "she must be a woman to my heart" :) I am in love with the Journal Diaries series I found here... it's so inspiring to see how other artists work in their art journals! Sending you mermaid hugs from the Netherlands! Hi Marit! Thank you so much for taking the time to comment and send your virtual mermaid hugs! *hugs back! 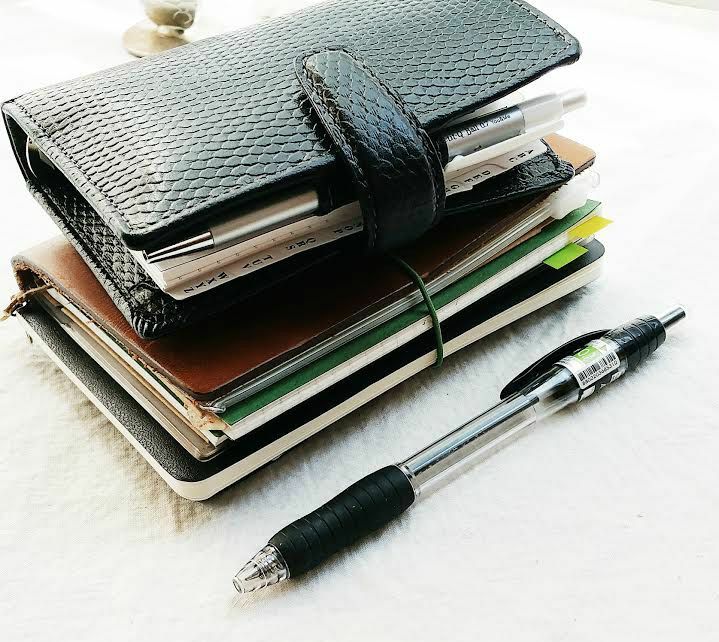 * I'm so happy to hear that you find inspiration in The Journal Diaries! It's definitely one of the popular segments as so many people enjoy seeing all the different and many ways of self expression and art. If you're ever interested, I'd love to have you as a featured guest as well! By the way, so in love with your blog! I might just have to go out and get the World of Artist Journal Pages book, too!